Apple Cake | Pretty. Simple. Sweet. 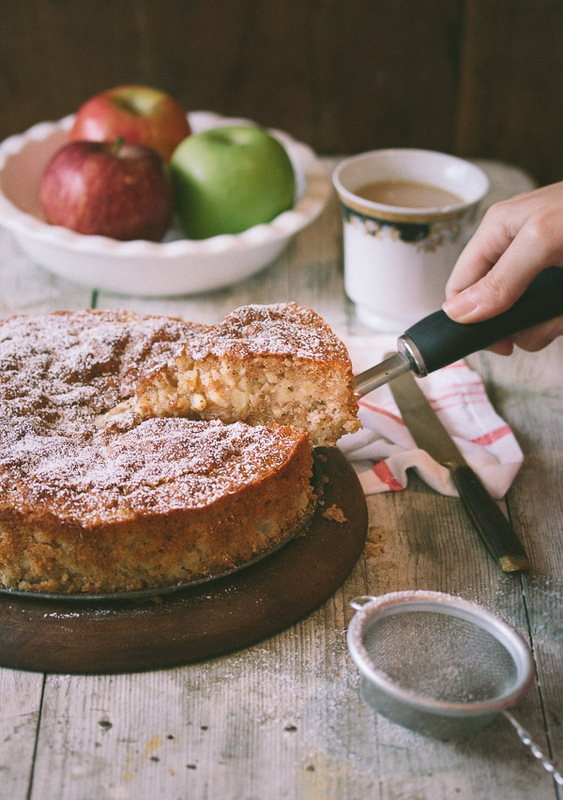 Simple, homey, comforting apple cake makes the perfect dessert or snack for fall. As soon as fall begins, my family gets all sorts of cravings, and when they get cravings, no one dares to stand in their way. In the past few weeks, they’ve had almost constant requests for one specific dessert: caramel apple pie. If you ever try it yourself, you’ll understand. But, like any pie, there’s a limit to how many I can make in a short period of time. Besides, only getting it every once in a while is what makes desserts like these so special, don’t you think? Although baking is becoming easier and less time-consuming for me, I will forever adore simple desserts. Sometimes you’ll hear me say it’s because I just love classic, nostalgic dishes, but if I want to be completely honest, my laziness probably has something to do with it. Plus there’s just NEVER enough time for anything (how many times have you said the exact thing just this month? Exactly!). With a smile on my face and a prayer in my heart, I stepped into my family house last weekend holding this apple cake and not the beloved pie I’m sure everyone was expecting. After we ate, I uncovered it and a strong apple scent took over the entire living room. When requests started pouring in for second slices and recipes, I knew I was forgiven. This cake is moist and tender, and the spices give it a warm flavor that’s perfect for the season. If that wasn’t enough, it’s loaded with tiny, juicy apple slices and it smells divine! For best results, slice 2 apples into small ¼-inch pieces. Sugar: You can use either 1 cup light brown sugar, half a cup brown sugar (either dark or light) plus half a cup granulated sugar, or 1 cup granulated sugar. Brown sugar adds a wonderful taste and moistness to the cake, so I prefer to include it. Buttermilk: Although I love using buttermilk for this cake, I’ve also tried this cake using plain yogurt or milk. All options are great. If you use just milk, replace the 1/4 teaspoon baking soda with 1/2 teaspoon baking powder in addition to the 1 teaspoon that’s already in the recipe. Spices: I usually use 1 teaspoon cinnamon, 1/4 teaspoon nutmeg, and 1/4 teaspoon ginger or cloves, but you can use your favorite spices. With this amount, the cake isn’t overly spicy but rather very balanced. I don’t suggest omitting the spices entirely, and to use at least cinnamon for some flavor. Apples: This cake is loaded with apple pieces. You can always add more or less according to your desired taste and consistency. Add orange zest to the batter. Add up to 1 cup cranberries. 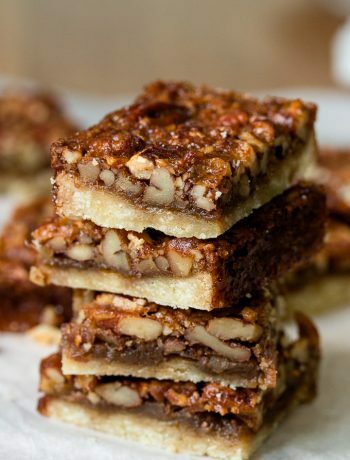 Add 1/2 – 3/4 cup chopped nuts: walnuts, pecans, or almonds are great. Add 1/2 cup nuts plus 1/2 cup shredded coconut (preferably unsweetened). Add 1/2 cup walnuts plus 1/3 cup raisins. Add 1/2 teaspoon pure almond extract (in addition to the vanilla extract). Add 1 tablespoon rum or Calvados. Toss the apples with some lemon juice and Calvados for extra flavor. Before baking, sprinkle the top of the batter with a mixture of 1 tablespoon sugar plus 1/4 teaspoon ground cinnamon for a crunchy topping. Sprinkle the top of the batter with flaked almonds before baking. Top with cream cheese frosting after the cake has completely cooled. If you do, keep the cake refrigerated. Drizzle cake slices with a simple vanilla sauce that goes absolutely perfect with this. Or just make this perfect cake as-is and dust the top with some powdered sugar. Preheat oven to 350F/180C. Grease and flour an 8" or 9" round springform pan (8" pan will yield a taller cake). מה לעשות – אנחנו מתים על עוגות תפוחים, והמשפחה (המורחבת) מוכנה לאכול כל יום עוגה כזאת. This cake is stunning, Shiran! 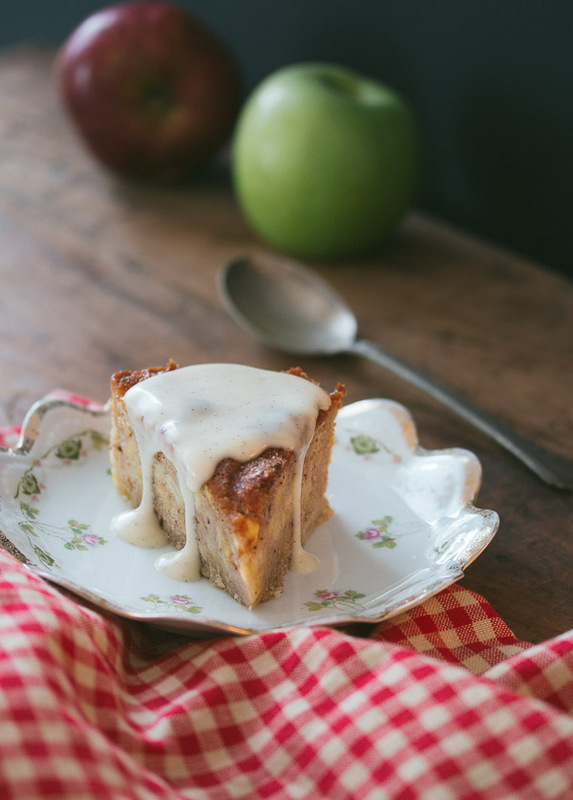 Nothing beats a classic, apple cake! Thank you! 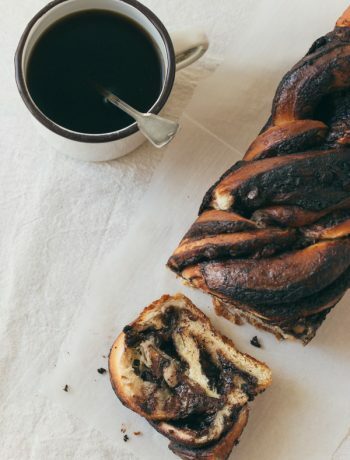 If you try a gluten-free version, I would love to hear how it turned out! This looks amazing! 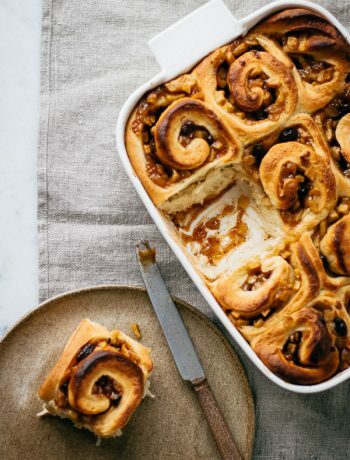 I love the old-fashioned feeling recipes that remind me of times with my grandparents. Thanks! What type of apples should be used? You can use your favorite apples, to name a few: Granny Smith, Golden Delicious, Braeburn, McIntosh, Honeycrisp. I would Luv to make this cake…however, I’m confused on spices. Ms Shiran is it 1/2 tsp of “each spice”…or 1/2 tsp apple pie spice blend. Hi Cynthia, it’s 1/2 teaspoon in total, so for example 1/4 teaspoon nutmeg plus 1/4 teaspoon cloves. Bought some apples this week and wanted to make something with it. Voila! Found this recipe. I made this today and it was fantastic – light, fluffy and a nice crumbly texture. This is not my first time making one of your cakes and I’m never disappointed!!! The only thing I do is cut back a bit on the sugar, since the sugar in my country comes from cane (sweeter than the us products). You need to make publish a book! Definitely would buy it! Shanah tovah from the north. I have been keeping my summer weight down to 57kg but the holidays and this website are going to ruin that! I am making apple cake and stumbled on yours and the vanilla sauce. So those who don’t care if their cake is pareve will bite into a bit of heaven a la Shiran. I recently came to the conclusion that I’d much rather eat dessert (anything with butter, cream, chocolate, caramel, nuts) than real food. Your desserts fit the bill! I’m glad you enjoy the recipes, Nicki! Shana Tova! would this work in a loaf pan?